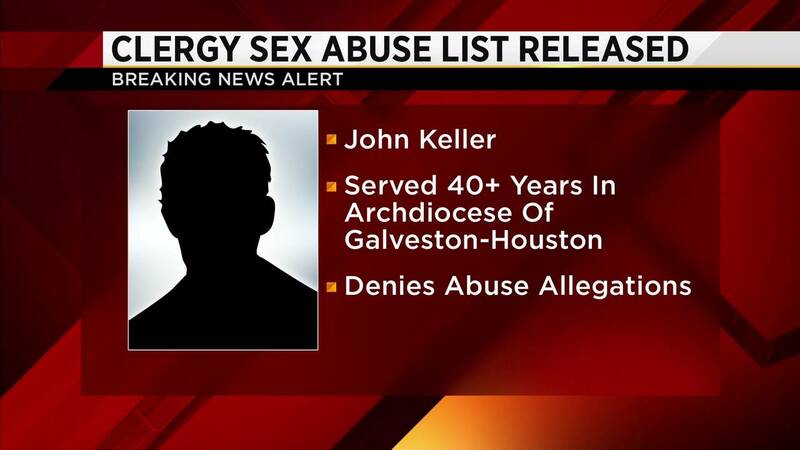 HOUSTON - The Archdiocese of Galveston-Houston Thursday released a list of priests with "credible accusations" of sexual abuse of a minor. The archdiocese was among 15 across Texas to release lists as part of an effort "to protect children from sexual abuse" while promoting "healing and a restoration of trust" in the church, calling the list a "major project." There were 42 names on the Galveston-Houston list. Nineteen of those men are deceased. Click here to find the reports for the other 14 diocese in Texas. Father Manuel La Rosa-Lopez is one of the priests on the list. He is charged with four counts of indecency with a child involving sexual contact in Montgomery County. There are at least two victims. The Jesuits released its list in early December. Five Jesuits with ties to Houston's Strake Jesuit College Preparatory were on the list. 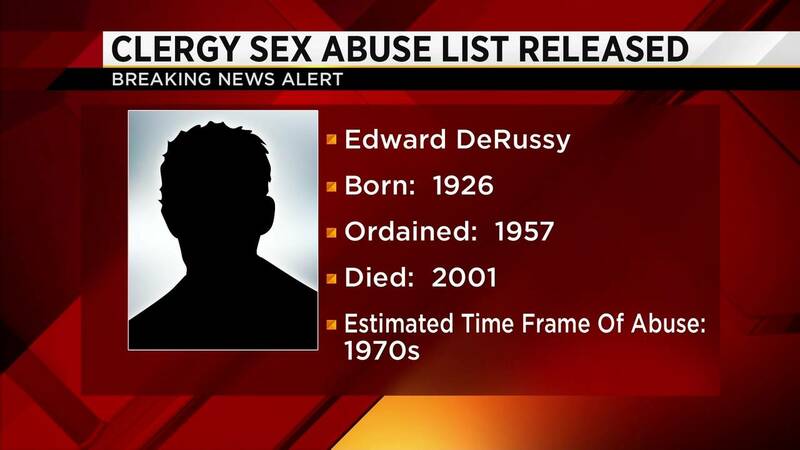 One other man with ties to a Houston church was also named. Status: Removed from Public Ministry 2013. 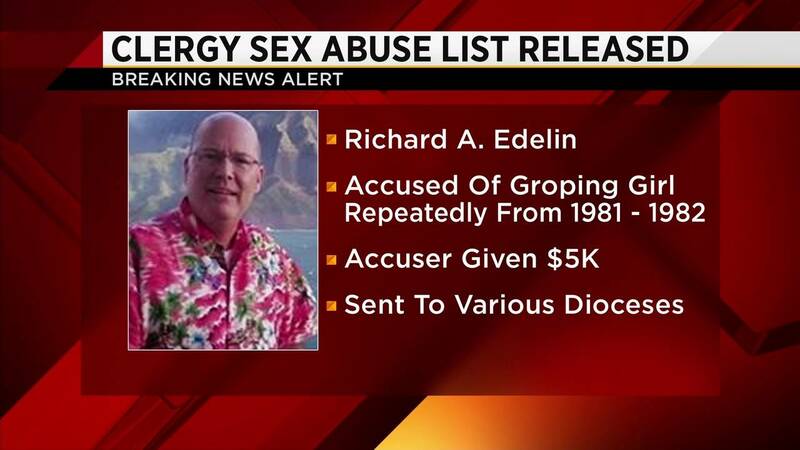 Edelin was accused of repeatedly groping girl in 1981-1982 beginning at age 17 in confessional and at retreats at St. John Vianney Catholic Church. He denied the allegations. The accuser was given $5,000. Edelin was sent to various other locations. In 2003, the Archdiocese sent him to Oregon. Accuser complained. He began to work in Baker, Oregon, diocese where a seminary classmate was a bishop. Still a priest. Status: Removed from Ministry 2008. An allegation of sexual abuse of a minor was made against Father Stephen R Horn, formerly Pastor of Christ the King Church. 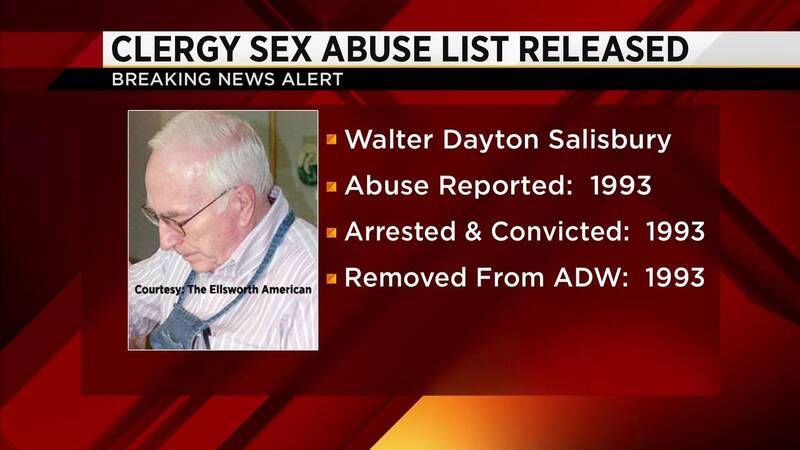 The allegation stems from Father's alleged interaction with an individual between 1989 and 1993, while he was Pastor at Christ the King. Special panel recommended that Father Horn be withdrawn from ministry pending further proceedings. Horn has also served as associate pastor of St. Mary's Church in Texas City and St. Mary's Church in Galveston. After the accusations surfaced, Horn was sent to Shalom Center on sabbatical. 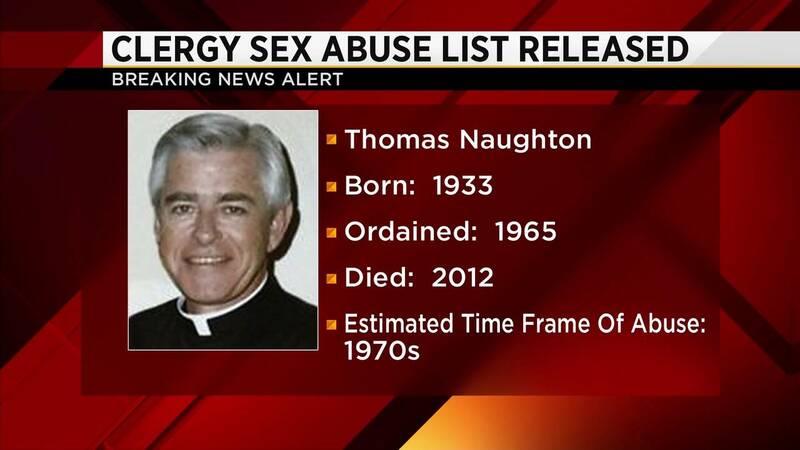 Then the Archdiocese announced to his church he was being removed. Lawsuit against him dismissed due to statute of limitation. In lawsuit, he was accused of misconduct with a boy 1973-1974. Status: Retired 1993. Deceased 2000. Civil suits filed in 2010 with accusations of molestation. A second suit was filed in late 2010. Lawsuits were filed after his death. Status: Laicized 2005. Deceased 2007. Charged with sexual assault in 1999, but he was no billed. Then lawsuits were filled, but dismissed for statute of limitations. Status: Removed from Ministry 2002. Resigned from Priesthood 2002. Deceased 2014. 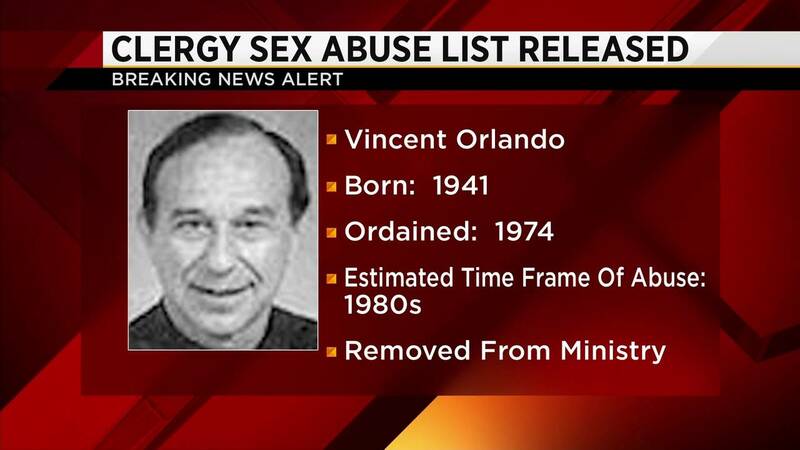 Orlando was principal at Strake Jesuit from 1979 to 1984 when a student reported him for inappropriate touching. Orlando stayed at the school until 2000. He now reportedly lives in Missouri. 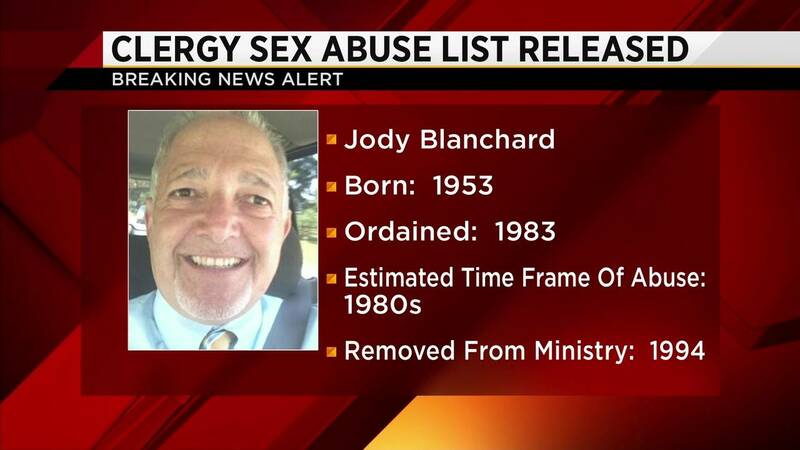 Jesuit High School, Tampa, Fla.
Blanchard, 65, left the Jesuits and is now a counselor to the elderly, according to his LinkedIn page. He reportedly lives in Louisiana. St. Charles Borromeo Church, Grand Coteau, La. Immaculate Conception Parish, Baton Rouge, La. Naughton was president of Strake Jesuit in 1989 and 1990, according to an assignment record. He died in 2012. No public allegations appear to involve Strake students. St. John's Co-Cathedral, Shreveport, La. Manresa House of Retreats, Convent, La. 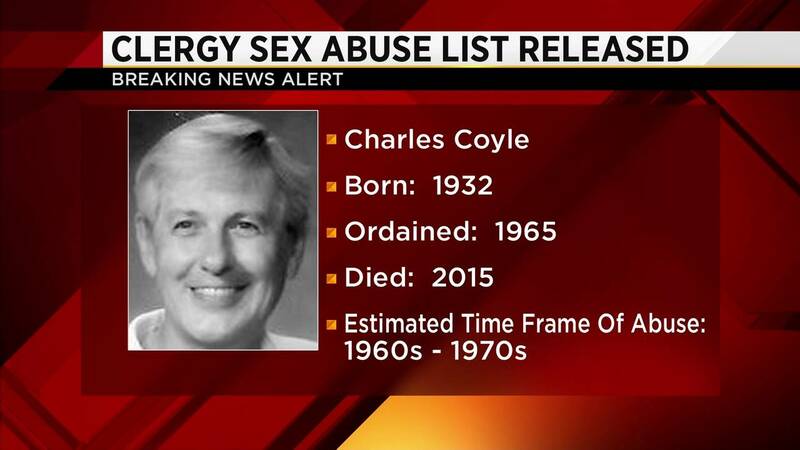 St. Killian Parish, Mission Viejo, Calif.
Coyle worked at Strake Jesuit in 1977 and 1978, according to an assignment record, but his position isn't listed. Jesuit High School, Shreveport, La. Spring Hill College, Mobile, Ala.
Ignatius House Retreat Center, Atlanta, Ga.
Sacred Heart Church, Tampa, Fla.
St. Joseph Church, Zephyrhills, Fla.
St. Benedict Church, Crystal River, Fla.
Christ the King Church, Grand Coteau, La. St. Mary's Church, Greenville, S.C.
Our Lady of the Rosary, Greenville, S.C.
St. Philip Neri, Kinder, La. St. Charles College, Grand Coteau, La. RELATED: Did you have contact with one of the priests? Share your story here. Visit the Texas Catholic Conference of Bishops' website for information on reporting abuse.